RECENTLY REDUCED BEST VALUE IN PARKWAYS SCHOOLS AND CLAYMONT!!! Here it is! SPECTACULAR 1.5 story you have waited all summer for. YES you can have it all- meticulously maintained home, perfect Central location, Parkway schools, spacious with over 2,800 total square feet of living space. Quality craftmanship at every turn. Highlights include: fresh paint, hardwood and tile throughout main, main floor master bedroom, hardwood in upstairs bedrooms, newer roof, gutters & siding, windows replaced, garage door, 200 amp electrical panel and so much more! Entertaining? Your guest will enjoy your finished lower level w/ rec & gaming area, ½ bath, and separate office area. Evenings can be enjoyed through the French doors that open to private patio and large deck. Large level FENCED backyard for family fun. This is a home that is not MOVE-IN ready it's LOVE -IT and LIVE-IN ready. 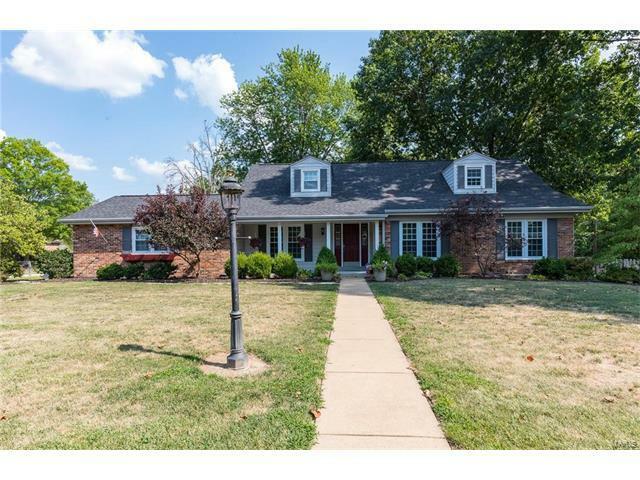 Within walking distance to Ballwin Golf & North Pointe Aquatic Center. WELCOME HOME. 141 South to Clayton Road West Left on Baxter Right on Claymont.